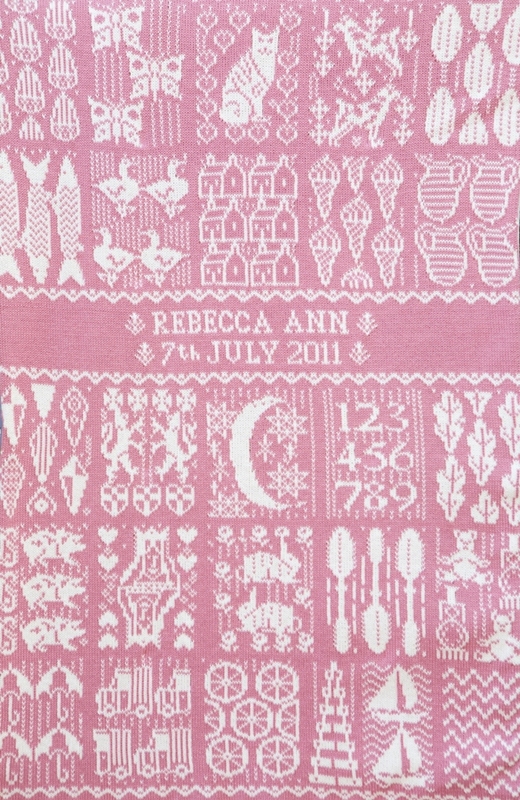 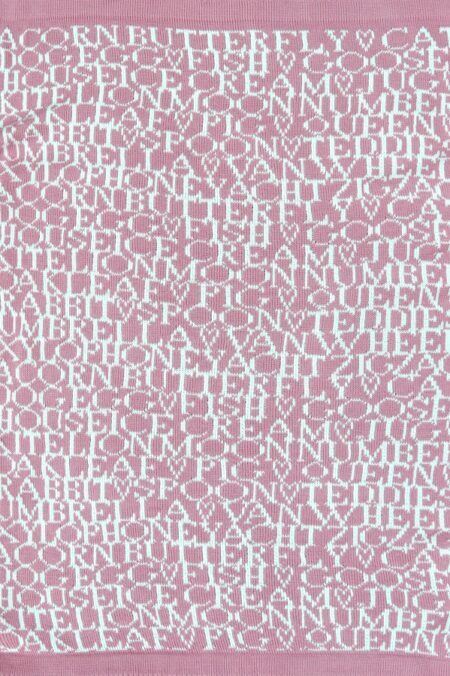 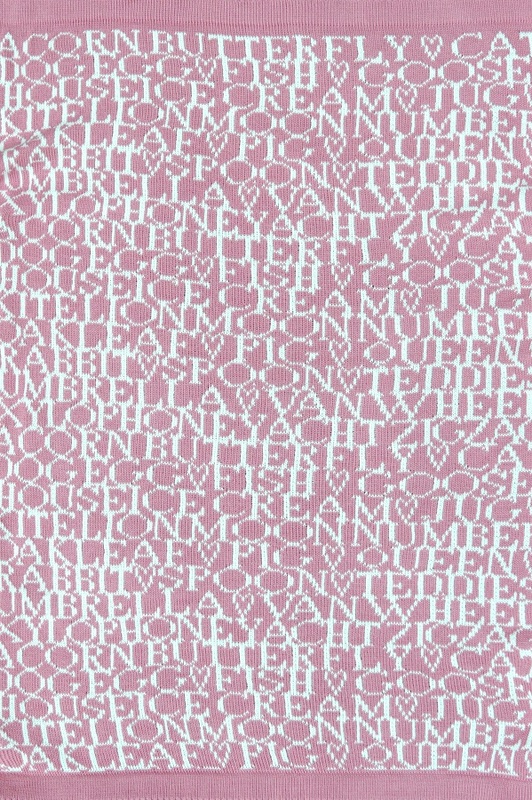 The Alfie & Betty CANDY FLOSS blanket is knitted in dusky pink with cream motifs and lettering. 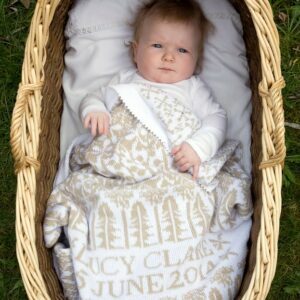 Each blanket comes beautifully wrapped in a handmade muslin bag, tied with baby pink ribbon – a perfect gift to celebrate the arrival of a new baby. We can send the blanket directly to the recipient if required, and include a card with your message at no extra cost.